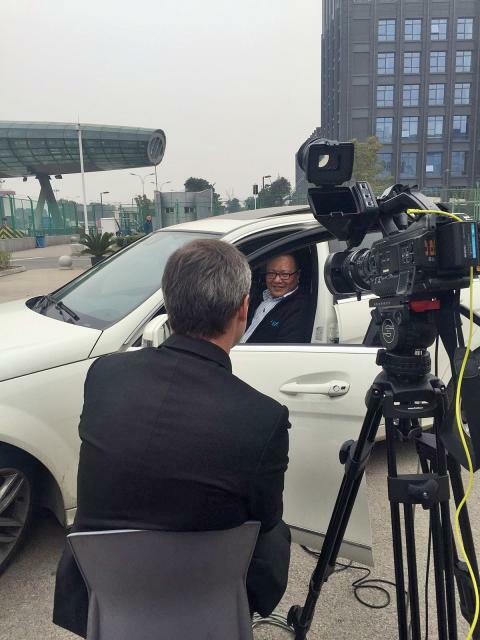 Spending a week in China to produce a content marketing current affairs program, I was reminded yet again of how wonderful it is to work with marketing and PR professionals who know what role they need to play in the production process to ensure a smooth shoot. We will do whatever we can to ensure the success of the program. But clearly we need the support of our clients. There are certain things that they – and only they – can take care of, and TV news and current affairs crews like ours (and video production crews in general) have no choice but to depend on them. It's not that we expect royal treatment. But over the years I have also come across marketers who have little or no experience with video shoots and consequently sit back in blissful ignorance thinking everything will fall into place automatically. So, the purpose of this column is to highlight the eight things marketers and PR professional need to contribute to a successful shoot. Feel free to add your comments if you disagree with any of them, or add more to the list. 1. Clear objectives and outcomes – save time and effort by nailing these down even before you decide to produce a video. Frankly, a video might not be the best way to achieve your objectives and outcomes. But it's better you find this out before you start.Knowing what you want to achieve with the video also means that you are clear about what you are not looking to achieve. Now, it is possible to derive multiple videos from the same recorded footage. But it is unlikely that you will be able to produce a three-minute long program which serves as a contemporary thought-leadership piece, internal comms video, talent acquisition video, product launch video, government relations video, financial markets commentary and CEO profile, and still have impact. I understand you might be under budgetary pressure and therefore want to "kill two birds with one stone", but the more fragmented your objectives the more diluted and the less impactful the video becomes.Our client had a razor sharp focus. Top score. 2. Plan the shoot – long before the crew arrives, be sure you have an agenda mapped out. Don’t leave this to the crew. Only you can know when you have access to the factory or office, or restricted areas. Be aware of delivery times or lunchtimes which might impact the recording on location. You might like to show the buzz of your factory, but you can't do this if you have scheduled the shoot when everyone is out for lunch. Also, the noise level will be higher at times when the venue is crowded, which might make interviews more difficult. Similarly, don't schedule outdoor interviews at times when the sun might be setting, or creating other problems from a lighting perspective. Our client provided a detailed hour-by-hour agenda. Top score. 3. Arranging interview guests – you need to be in control of which interview guest is at which location on what day and time. Then keep reminding the guest to avoid the situation where they are suddenly travelling or arranging other meetings. Impress on them the importance of the shoot, and back this up by reminding your interview guests that they need to keep their commitment in order to avoid cancellation fees. Don't be scared to postpone the session if the guests are unavailable. Better to get everything lined up than to bring a crew overseas for a half-baked shoot. Just be clear what the cancellation fees might be, especially if it's not long to the shoot and airfares have already been ticketed. Also, be sure your interview guests are prepared for the interviews with their key messages. Ensure you choose the best speakers. We can provide presentation training ahead of the recording, but ideally the guests would already know what they are going to say. Our client took care of all this. Top score. 4. Traveling to overseas locations – your video production partner should be able to organise their own flights, accommodation and visas according to pre-determined budgets. But some countries, such as for China, require an introduction letter in order to issue a visa. A carnet, which allows the short-term import of camera equipment, will also need to be provided at customs and immigration. This needs to be printed on your letterhead. While your production company should supply the carnet, check with them that they have done this. Be clear who pays for what before they arrive. In most cases, you don’t need to know the cost for every bottle of water in advance. Just be clear about what out-of-pocket expenses the video production partner will pick up and seek reimbursement later, and what you will pay for straight away. This avoids misunderstandings and allows your video production partner to focus on the shoot, and minimises the chance of budget blow-outs and disputes over hotel bills and meal claims. Our client was clear and unambiguous about costs, and had a government liaison office who managed these issues. Top score. 5. On-the-ground logistics – your crew will need on-the-ground transport, meals and accommodation. Make these arrangements for them. Hire a van. Book the hotels. Pick places to eat, or arrange take-out lunch boxes for the crew (establish dietary requirements in advance). It's tempting to just let the crew find their own way and claim the expenses at the end of the production. But frankly your video production partner should spend their time and effort thinking about how to best shoot the program you have engaged them for. It wastes time and is a huge distraction for the production crew to have to flag down taxis and find their own meals and accommodation. Don't forget to arrange meeting rooms and store rooms at the locations where you are shooting. Our client had all these things covered. Top score. a. When the crew arrives at your headquarters building, are they able to bring a trolley with all the gear up in the passenger lifts, or do they need to take the cargo lift? If so, is the van able to pull up at the cargo lift? b. Are there metal detectors which the gear needs to be brought through? c. Does the crew need to be issued visitors passes? Do they need to bring identification for these, or can you arrange these in advance? d. Does the crew require special attire, such as we did when we filmed in the so-called clean rooms of our technology client in China last week? e. What locations can the crew film ...and what areas are off-limits? 7. Contact people and numbers – the PAs of interview guests, security guards, and others on the client side play an important role in the success of the shoot. Contact them in advance. Call on their help. Delegate where possible. Our client also had contact numbers for people who he could call for quick assistance, such as to quickly find a needed prop or product sample. Top score. 8. Time and information – you can try to "outsource" the entire production if you need to be absent for half the day, but be very clear about what the requirements are and who to call for help, if required. While we have a team of self-starters who take initiative and can solve problems ourselves, having our client with us virtually the entire time was invaluable. He could answer questions where required, and provide perspectives, context, insights and information. Top score. In summar, while clearly you don't have to do everything yourself, it makes a huge difference when you see yourself as part of the production crew. It's not that we're demanding. It's just that it makes most sense, if you want to ensure the finished product serves your needs. Once again I welcome your comments and additions to this list.